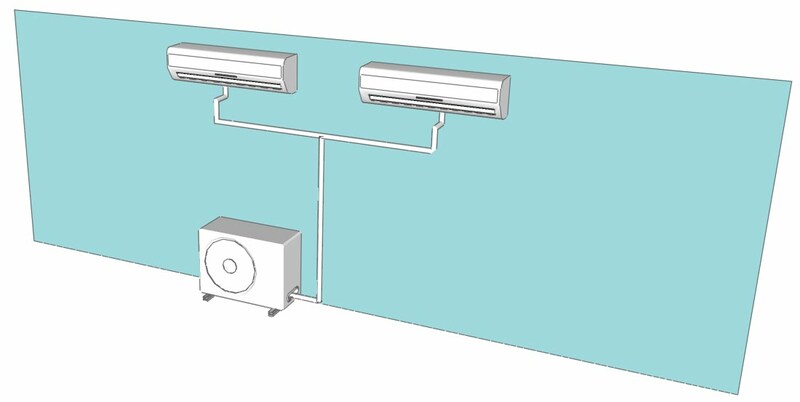 Air conditioning system to feed more than one room, used for small offices or domestic applications. This type of system allows individual control of the indoor evaporator units. These systems will heat or cool as required however the limitations are that ALL units have to be in the same mode of operation (either heating or cooling).